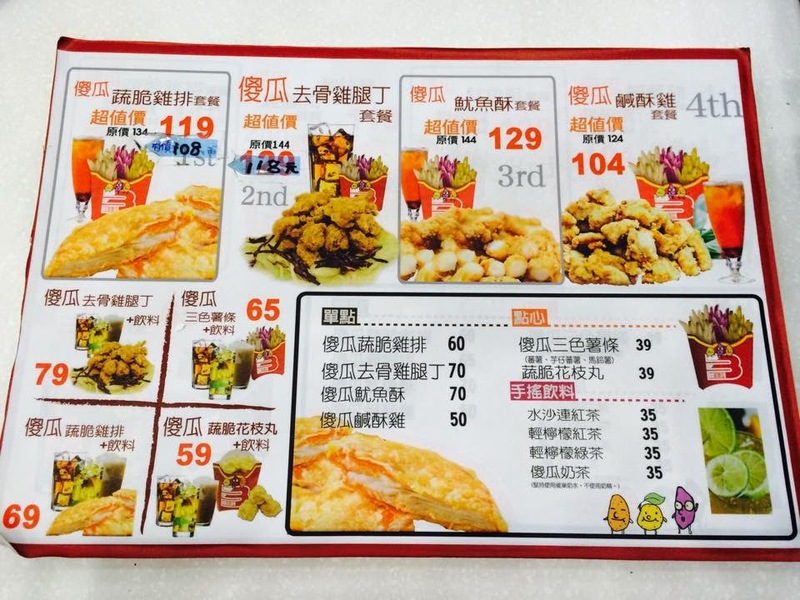 Taiwanese love to eat fried foods such as fried chicken breast, fried tofu, and fried vegetables. 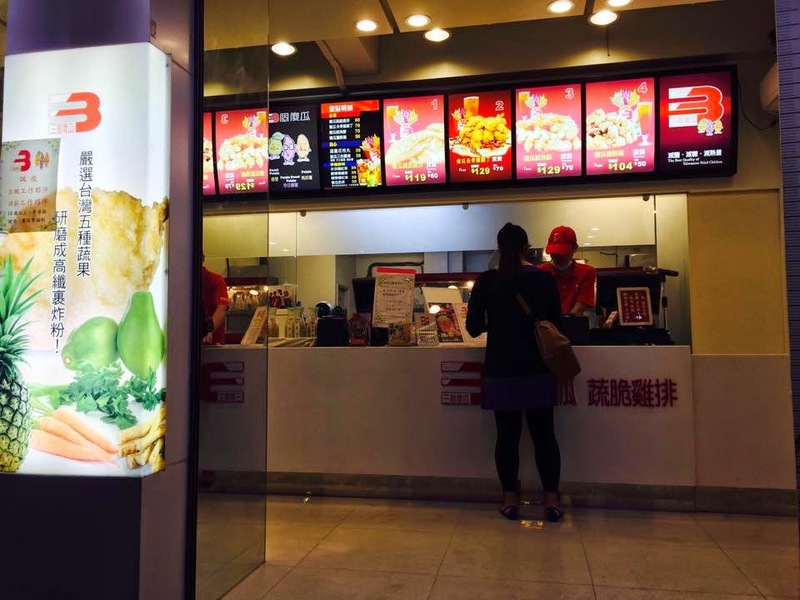 There are lots of famous fried food restaurants near Feng Chia University. Three Idiots restaurant is different from other fried food restaurants because they use a special flour recipe. The food at Three Idiots also contains fewer calories than at other restaurants. This is the reason why people love to eat at Three Idiots. The environment at Three Idiots is clean and bright. In the restaurant, you can get a seat easily because most customers order take-out. Moreover, you can watch the chefs prepare your food because the walls of the kitchen are transparent. You will notice that the chefs at Three Idiots use a special flour to coat their fried foods. Their special flour recipe contains pineapple, papaya, carrot, burdock, and celery. Fried foods coated in this special flour are healthier and not so greasy. There are three sections to the Three Idiots menu. First of all, the entrées include fried chicken breast, fried cubed chicken drumstick meat, popcorn chicken, and fried squid. 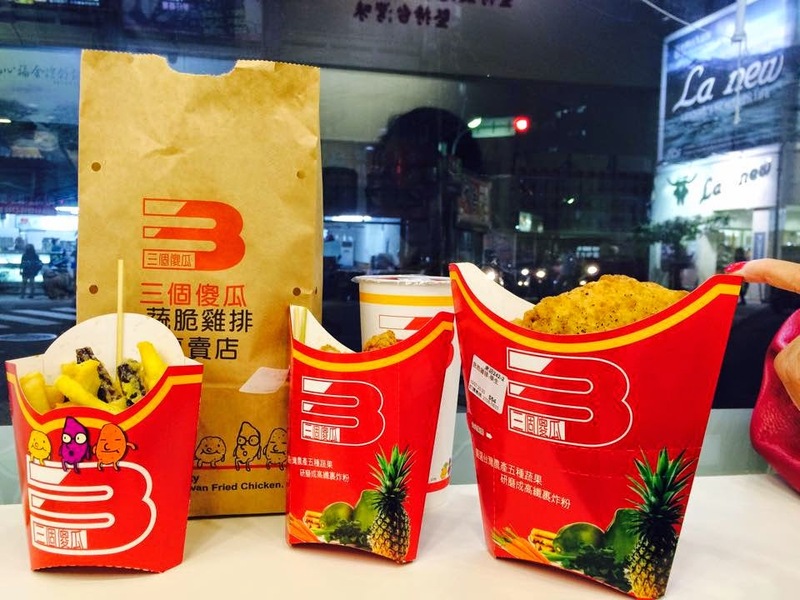 Second, the snacks include fried squid balls and French fries. The French fries at Three Idiots are different from the fries at other restaurants because they are made from potatoes, sweet potatoes, and purple sweet potatoes. We ordered the fried chicken breast, fried cubed chicken drumstick meat, and French fries. Then we found our seats and chatted while our food was being prepared. About five minutes later, we got our meals – it was very fast. The Fried chicken breast was crispy and the meat was juicy. The package that the chicken was served in was made from paper and was shaped like an envelope. You hold this wrapper in your hand and eat the part of the chicken that sticks out the top. The design of the package was special because we could tear part of the package away when we had eaten half of the fried chicken breast. The design allows customers to eat the chicken breast easily. The fried cubed chicken drumstick meat was tender, juicy and not greasy at all. The cube shape made it convenient to eat. The clerks told us that the French fries at Three Idiots are special because they use purple potatoes, which are grown only in Taiwan. These French fries are very good for your health.